O.T.O. är en seriös och hemlig Orden, svuren det höga syftet att säkra individens Frihet och hennes framsteg i Ljus, Visdom, Förståelse, Kunskap och Kraft genom Skönhet, Mod och Klokhet på grundvalen av Universellt Broder- och Systerskap. Vill du veta mer om Ordo Templi Orientis, och det religiösa och filosofiska systemet Thelema? Information för dig som är intresserad av att gå med i O.T.O. The material on this website is in Swedish. Ordo Templi Orientis Sverige presenterar nr. 8 av tidskriften Solståndet – O.T.O. Sveriges officiella tidskrift som publiceras två gånger per år på sommar- och vintersolstånden och som skickas ut gratis till alla medlemmar av O.T.O. Sverige. Om du inte är medlem och vill köpa detta nummer, eller tidigare publicerade nummer av Solståndet: vänligen gör din beställning på fsr@oto.se Pris 93:- plus postutgifter. Vi hoppas ni får glädje av Solståndet! 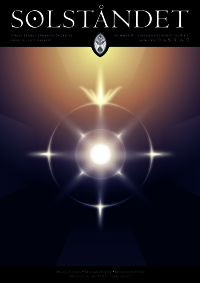 If you´re not a member and want to purchase this edition of Solståndet, or previous editions; please place your order at fsr@oto.se Price: 12 USD/ 10 Euro + postage. 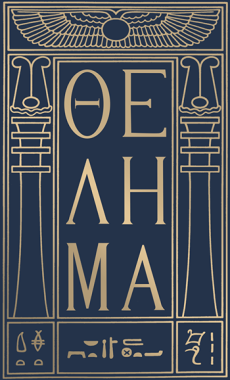 The Holy Books of Thelema together forms the backbone of the religious philosophy Thelema. O.T.O. Sweden will publish these books for the first time in Swedish and collected in one volume during 2018 e.v. To manifest this O.T.O. Sweden needs your help and will finance part of the production through crowdfunding. 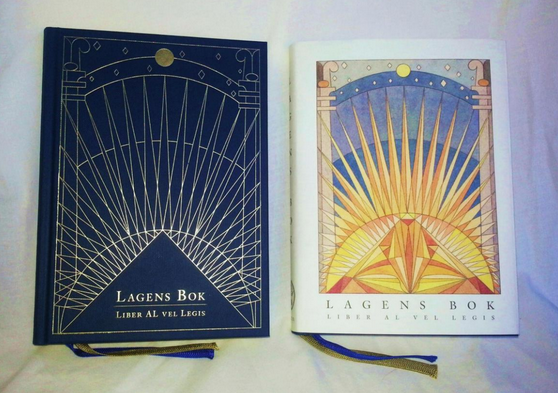 It is our aim to publish the book in the same style as the previously released translation of The Book of the Law, “Lagens Bok”; in the same format, exquisite design and sound quality. A standard edition of 666 copies is planned, of which 93 copies are numbered. A stand-alone numbered deluxe edition of 31 copies with gilded page edges will also be printed. All in 185 mm x 135 mm size, hardbound in dark blue with golden imprint and dust jacket. 1. If you give 718 Swedish Crowns/SEK (ca 80 USD, 70 Euros) – or more – you will receive a copy of the numbered deluxe edition, strictly limited to 31 copies. It is only on sale for this price through the crowdfunding time. 2. If you give 418 SEK (ca 47 USD, 41 Euros) – you will get a copy of the standard numbered edition, strictly limited to 93 copies with the opportunity to select which number you would like; first come, first served. 3. If you give 220 SEK (ca 25 USD, 22 Euros) – you will get a copy of the standard edition. Retail price estimated at 250 SEK (ca 28 USD, 25 Euros). Pay for your order to O.T.O. Sweden PostalGiro account 163020-1 and be sure to write your name on the form. Also send an email to fsr@oto.se to confirm your order. Vid beställning av den numrerade utgåvan; vänligen meddela vilket nummer du helst vill ha, samt bifoga alternativa nummer om just det nummer du valt redan är taget.